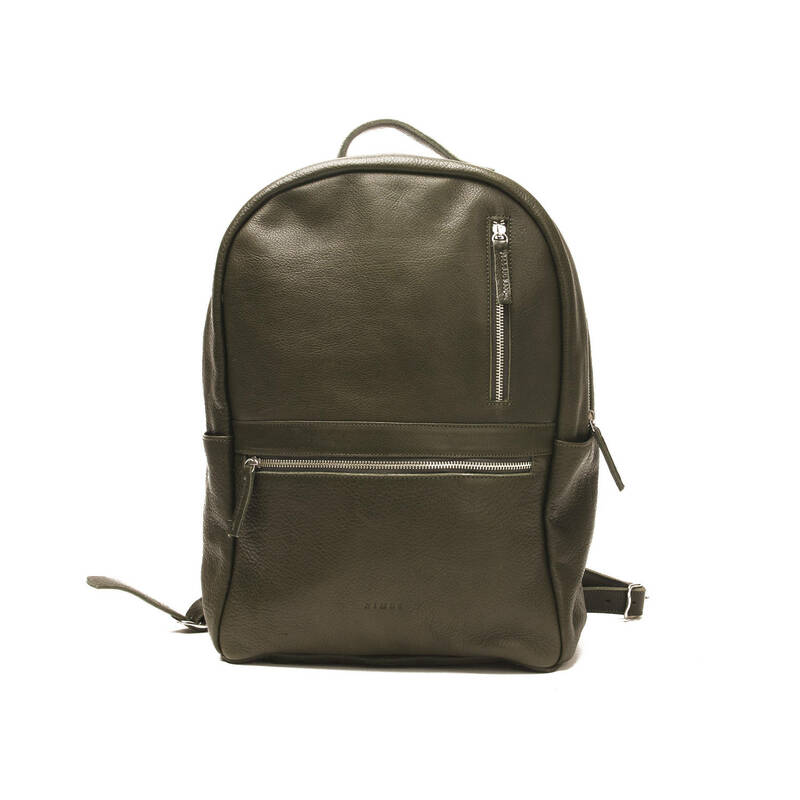 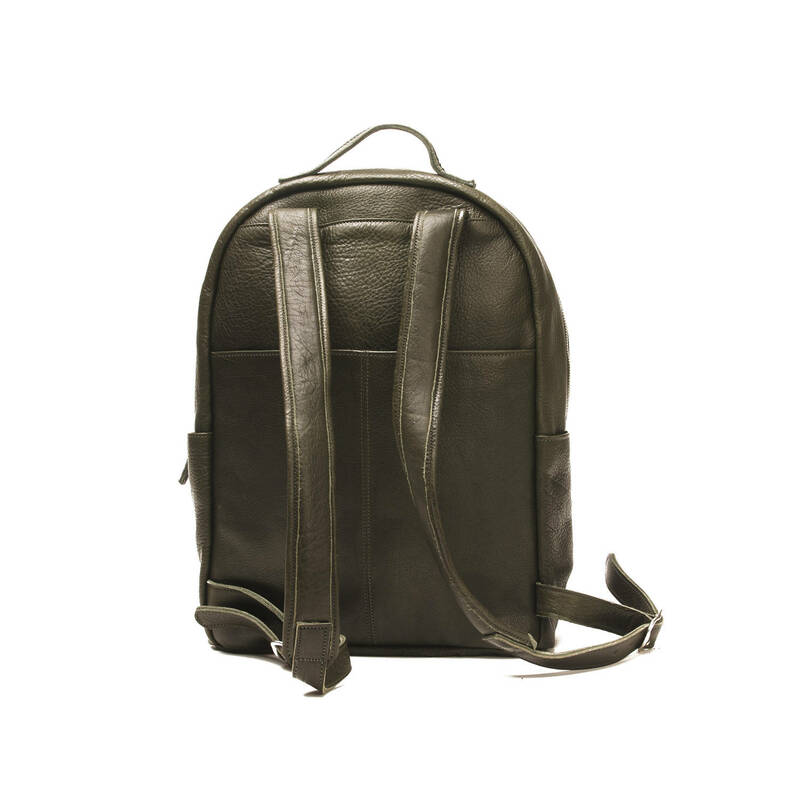 Vegetable tanned natural grain leather backpack. 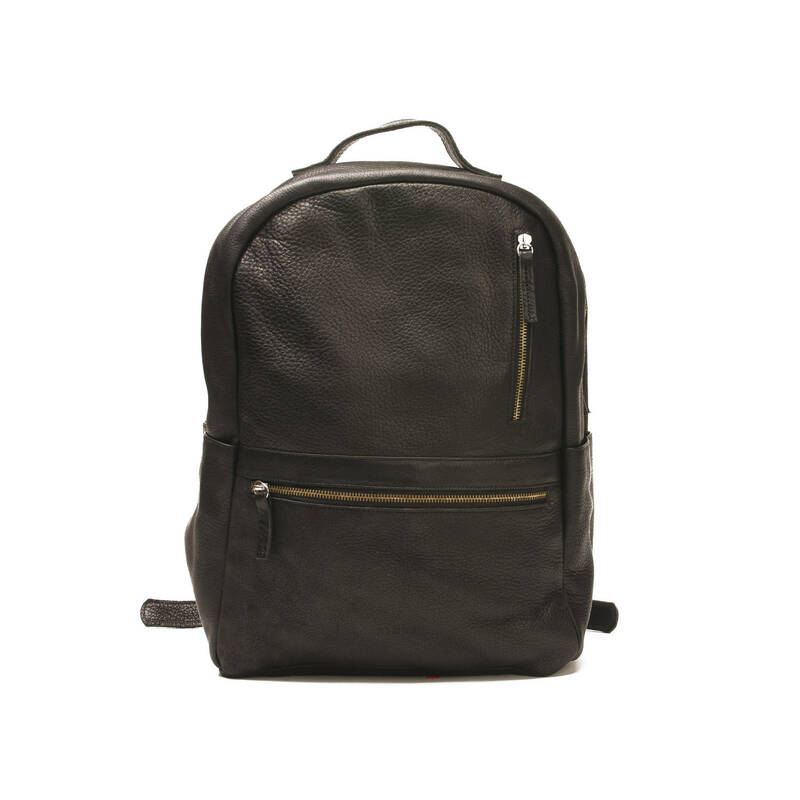 One external back pocket and two front zipped pocket. 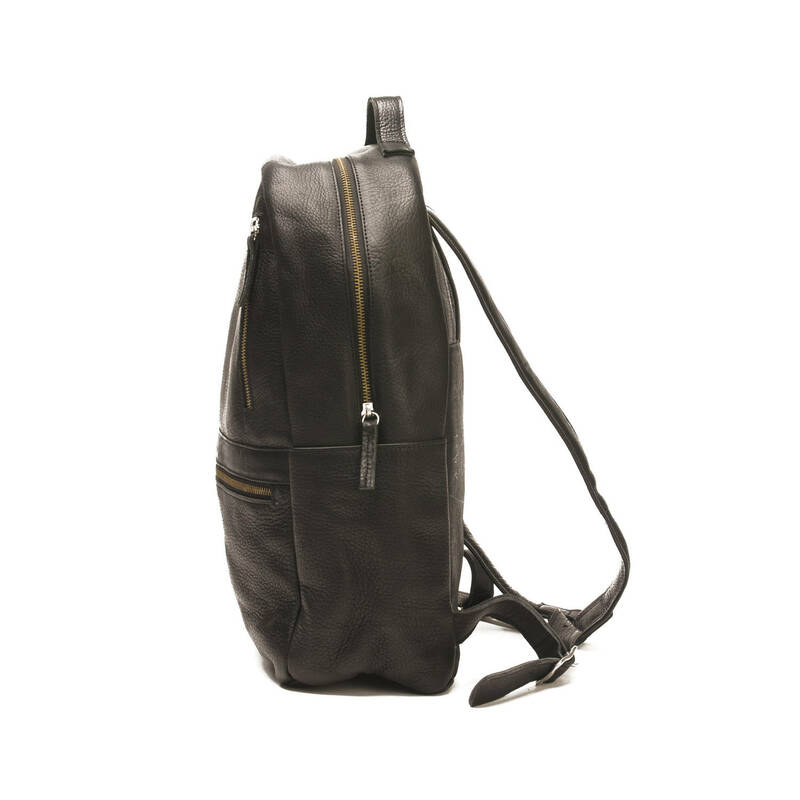 Internal pocket with secure space for a laptop.